Given that one definition of gambling is "leaving things to chance", you'd expect most casino regulars to have resigned themselves to placing their fate in the hands of the gods. However, there's no shortage of conspiracy theorists determined to prove that the house is secretly engaged in nefarious activities, designed to reduce or even extinguish the likelihood of a player payout. From slot machines that never win to Roulette wheels that stop when the dealer chooses, here are a few of the most common casino myths – and why they belong firmly in the fictional aisle. It's easy to understand players who fall into the trap of believing this myth. Watching the ball repeatedly land on the same colour seems to counteract everything we know about possibilities, given the even number of red and black slots on the wheel. 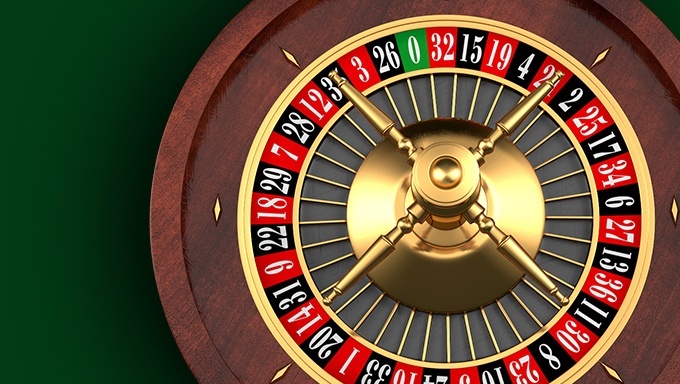 What you need to remember is that those odds starts afresh with every single spin of the Roulette wheel; each previous win has no mathematical impact on the probabilities for the next. While the spectators may feel that a black win is 'due', the wheel spins on regardless and the ball will land where it will. Similar to the previous myth, this one is understandable but patently false. The slot machine isn't sentient – it doesn't know that it hasn't paid out in hours and feel obliged to perform. Slot Machines use random number generators, which create a brand new combination with every spin. On a positive note, that means you can brush off the remorse you feel when someone else wins with a machine you've just given up on: each spin is a random, isolated event, so there's no guarantee that your pull on the lever or press on the button would've generated the same effect. This one may sound like one of the earlier ideas of a would-be Bond villain, but it enjoys significant traction in the gambling world. The theory behind this myth is that more oxygen in the air makes you feel more alert and therefore more likely to play on. A 2006 BBC article claimed that this was common practice in Las Vegas, along with adding pheromones to encourage players to bet 'aggressively'. However, not only is tampering with air supplies illegal in both the US and UK, it would also have little grounding in scientific fact. There's no conclusive evidence that added oxygen could influence your gambling habits. Furthermore, adding oxygen to the air supply would be considered a fire hazard; definitely against a casino's best interests. There are far too many random factors affecting the outcome of a Roulette wheel for the dealer to have any effect. With the ball and wheel travelling in opposite directions and the frets encouraging the ball to ricochet wildly, it's hard to imagine the kind of training that would allow a dealer to control all these elements and send the ball to the desired slot each time. There's also the fact that any system like this would be both illegal and open to abuse. The sheer randomness of many games preserves the odds in the house's favour, thereby making it against the casino's interests to introduce any predictability. Technically yes, there will be more jackpot payouts in a busy casino than in a quiet one, but only because there are more games being played. As an individual, your chances remain the same whether you're one of millions or the only person on the floor. There are a few good reasons to change your seat in poker, but sadly this isn't one of them. The cards are dealt at random with the probabilities starting anew at each game, so the chances of getting the cards you want isn't impacted by seat order. However, given that much of poker relies on a clinical assessment of your opponents, switching seats can be a smart move if made for the right reasons. One solid piece of advice is to spot the most aggressive player and sit on his left. This way, they have to act before you do, giving you a clear overview of how much it'll cost you to stay in the game and putting you in prime position once that winning hand comes along.